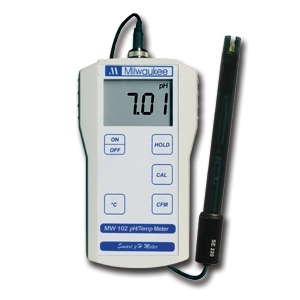 If you've ever gone on to a beer brewing forum and seen the question "What's the best ph meter to use" you are going to get 75 dudes all banging on about how great the Milwaukee MW102 pH meter is to use. A few others might mention the Apera or the Hanna offerings but the MW102 is a killer instrument. We're not kidding, brewers love it because it's reliable, durable and doesn't break the bank cost wise. Indeed, it's at the cheaper end of the mid-range pricing scale. Marijuana growers in California love it too! And just recently growers in Canada too! My, how the world has changed. Kombucha brewers can even use it! The MW102 is portable and gives fast, accurate and reliable measurements whether you're in the classroom, laboratory or for general field use. And by 'general field use', we mean brewers on the grass in their backyard, brewing up a storm on brew day! Automatic calibration in 2 points and ±0.02 pH accuracy. The meter is supplied with pH electrode and calibration solutions. Real humans, real beer makers have purchased the Milwaukee MW102 and let some pretty genuine feedback as to how this good unit is. "So far I am very happy with this unit. I have more faith in the calibration & readings of this unit. During calibration, this meter requires you to calibrate to 7.01 & then do a slope calibration to 4.01. I have not seen this with other meters, but once calibrated the unit is very accurate & holds calibration without issues. I may have made it sound complicated, but it is pretty easy to calibrate." "I've owned this meter for 6 months now and it has been very accurate and dependable. I use it for wine making. It's really nice that it has a separate temperature probe because sometimes I use it for just that. A word of advice, buy the Milwaukee probe storage solution. It will decrease the number of times you need to calibrate the probe." "This is in every way a professional laboratory grade instrument of the highest quality! It is easy to calibrate and the calibration is very stable and long lasting. It reads the PH almost instantly and is a joy to use. The tip should be stored in Miwaukee's special storage solution as recommended for longest probe life." "I elected to give this one a shot because I wanted confidence the readings were correct. And they are. No more dipping a pen wand in the water to find a 8ph, then immediately redipping the meter and getting a reading of 3.8 in the same water! So far great product for the price. Exceeded what I had grown to expect from ph meters." The unit is rated quite highly on Amazon and you can see why it's reviewers are hugely positive about it! As you'd imagine, Milwaukee offers a wide range of calibration, maintenance & cleaning solutions. It's a very smart custom to clean your pH electrode fairly often. This is because a coating known as the 'hydrated layer' can develop on the glass bulb. This layer will cause your unit to display inaccurate readings. Which just defeats the whole point of using a meter! The common method of cleaning the electrode is by submerging it in a cleaning solution for a whole 15 minutes. The solution will break down the hydrated layer. After the cleaning solution has done its business, the probe must be rinsed with very clean or purified water and then placed in probe storage solution for at least 2-3 hours before calibration is begun. Can I get a replacement probe? You sure can get a new probe - it's the known as the 'Milwaukee SE220 '. You'll need one if you haven't looked after your main one by properly storing it - or you broke it by dropping it! Replacing the electrode probes is as easy as changing a light bulb - just follow the instructions. Milwaukee probes are given a warranty of 6 months - which is pretty standard. When should I clean the Milwaukee ph Meter? when the on-screen measurement is not close to the reading you were hoping to read. 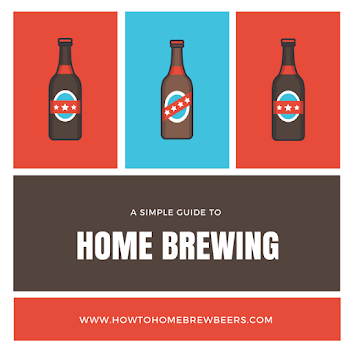 If the Milwaukee is not for you, then you might find something that meets your needs in our pH meter buyer's guide - which features the popular Bluelab Combo Meter.